Outlast 2 is the sequel to the acclaimed survival horror game Outlast. Set in the same universe as the first game, but with different characters and a different setting, Outlast 2 is a twisted new journey into the depths of the human mind and its dark secrets. No conflict is ever black and white. Outlast 2 introduces you to Sullivan Knoth and his followers, who left our wicked world behind to give birth to Temple Gate, a town, deep in the wilderness and hidden from civilization. Knoth and his flock are preparing for the tribulations of the end of times and you’re right in the thick of it. You are Blake Langermann, a cameraman working with your wife, Lynn. The two of you are investigative journalists willing to take risks and dig deep to uncover the stories no one else will dare touch. You're following a trail of clues that started with the seemingly impossible murder of a pregnant woman known only as Jane Doe. The investigation has lead you miles into the Arizona desert, to a darkness so deep that no one could shed light upon it, and a corruption so profound that going mad may be the only sane thing to do. 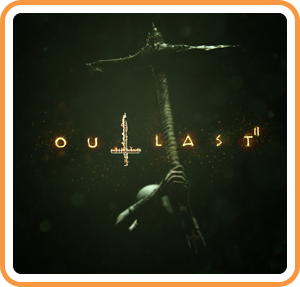 Where can I buy Outlast 2 physical/digital?